A record $751 was paid for the rare 1955 Lindeman’s Coolalta Vineyard Red Hermitage in the August Wickman’s auction. It was bought by winemaker Iain Riggs on behalf of the internationally renowned Len Evans Tutorial. Iconic winemaker and Trustee of the Len Evans foundation, Ian Riggs, paid a record price in August for a bottle of wine destined for the elite of Australian wine scholars. Wickman's Fine Wine Auctions release the annual list of top 25 Australian wines sold through Australian wine auctions by volume for the 2012 period. Independent Australian wine auction house releases first in a series of documents to summarise key secondary market wine trading information for researchers. Adelaide based wine auctioneer Mark Wickman of Wickmans Fine Wine Auctions tastes and comments on Penfolds latest release 2007 vintage Grange. Adelaide based wine auctioneers, Wickmans Fine Wine Auctions, are encouraging wine sellers to offer their wares on a new service the online wine auction house is developing via its YouTube channel. An anonymous buyer has snapped up two of the worlds most precious wines in an after auction deal brokered by Adelaide auctioneer Mark Wickman. A summary of results with comments from the October 31st fine wine auction. Australian wine auctioneer sees a resurgence in US demand for fine Australian wines on the back of influential critics current tour. The holy grail of Australian red wine, Penfolds 1962 Bin 60a, will go under the hammer on Monday night, expected to fetch in excess of $4,000. Mercy Offered to Cellars of Penfolds Grange in The Red. A private collection of Penfolds Grange worth over $50,000 will be sold online from today with each bottle having a reserve of only $1. Small group of wine collectors, enthusiasts & investors meet in Sydney this month to discuss latest treasures . Results and summary from May and first half fine wine auctions. Results and summary from April fine wine auction, including comment on the current state of Penfolds Grange retail release pricing. Results and summary from July fine wine auction, including Penfolds Grange collection. A rare Penfolds Grange collection will go under the hammer on Thursday night, expected to fetch in excess of $150,000. Rare Mildara Cabernet Shiraz to be sold at Wickman's this January. Rare imperial of wine is a chip off the Old Block. Wickmans launches June fine wine auction. Penfolds Grange Appreciation, Only Time Will Tell. Loss of Heritage has the market seeing red. Wine drinkers can expect a high Noon showdown. American influence jolts Australian wine auction market. Australian online wine auction launches new wine provenance grading system. De Bortoli Noble One Back Vintage Tasting, Ten vintages: 1982 - 2003. 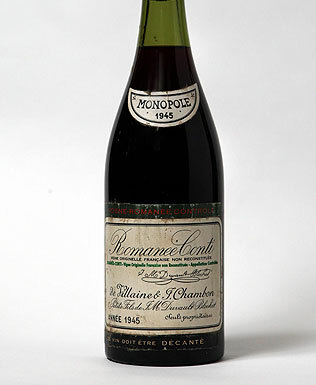 Wine Collectors Snap Up Bargains At Recent Online Auction. Blacktongues reveal surprise results at blind wine tasting of 1997 Australian shiraz. Online Wine Auction Results Indicate A Softening Market For Australian Cult Wines. Blacktongues undecided on latest release 2002 Barossa Valley Cabernet Sauvignon. Australian Online Wine Auction raises record amounts in new charity category. Internet Wine Auction Launches New Charity Wine Category, Proceeds Donated To The Asian Tsunami Appeal and Eyre Peninsula Fire appeal. Annual Online Charity Wine Auction Launches With Rare, Autographed Bottles Expected To Fetch Record Prices.